Losing one or more teeth not only damages your smile, but it can also cause serious damage to your self-confidence. If you are missing one or more teeth due to trauma, disease or aging, Dr. Scalia and our Lawrenceville Smiles team can restore your full function and full grin with dental implants. You may not realize how much a lost tooth or teeth can impact everyday life until it happens to you. Suddenly the simplest things – talking, laughing, eating – can become much more difficult. With dental implants, you can get back to looking and feeling like yourself. Stop worrying and start getting the dental care you deserve. Dr. Scalia can soothe anxiety with a variety of sedation options designed with your comfort in mind. Call us today to learn more! 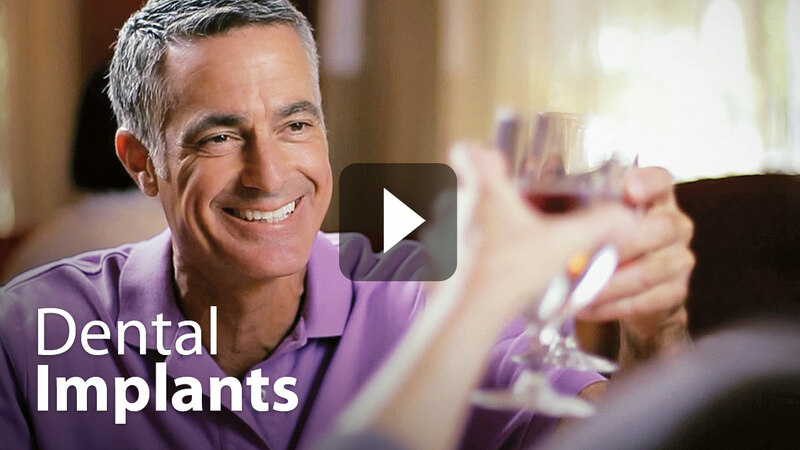 A dental implant is a titanium post that Dr. Scalia places into your jaw. After the jaw bone heals around the implant, Dr. Scalia will make and attach a crown. If you are missing multiple teeth, you can have more than one implant placed to support a bridge, a partial denture or a full denture. Since implants become attached to your bone structure, they offer a level of stability you won’t find with dentures secured by adhesive. Though the entire procedure will take several months to allow for the implant to heal, once the process is complete, you’ll have a smile that can last a lifetime. With proper oral hygiene to protect the health of your gums, implants are extremely long-lasting and durable. Don’t spend another moment missing out on life’s joys because of missing teeth. Schedule a consultation with Dr. Scalia and our team at Lawrenceville Smiles today. Dr. Scalia will combine his expertise and compassion to develop a dental implant treatment plan that’s right for you. You’ll never have to skip another snack or smile because of lost teeth. Contact us to find out how dental implants can restore your smile and your self-confidence.